Small. Height 49 cm, width 52 cm, depth 40 cm., Weight 2.8 kg. Large. Height 69 cm, width 60 cm, depth 49 cm., Weight 3.4 kg. Much more than work furniture. Danish cobbler stool. Its predecessors were three-legged milking stools with a simple, semi-circular seat. Beginning in the 17th century, Danish “Clog makers” started using this pragmatic stool. Because these individuals had to spend the entire day sitting on it, they equipped it with an appropriately shaped seat pan that made sitting on the stool significantly more comfortable. Our producer, a Danish company comprised of three individuals, manufactures this particular cobbler stool that offers an unprecedented level of sitting comfort, by employing the original template from the production year 1936 and carrying out production in 23 work stages. 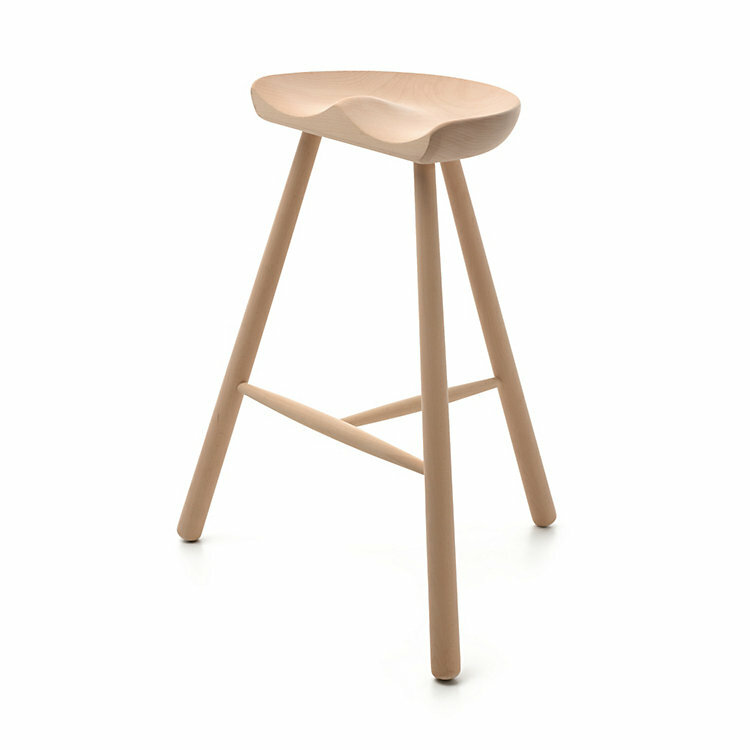 The construction may look simple, but it is technically demanding, when it is executed in such an accurate and precise manner, as is the case with this stool. The entire precision manufacturing and the final sanding are done by hand. The seat pan is formed from a single, 6–8 cm thick piece of massive beechwood with a diameter of around 40 cm; the three chair legs are glued into the seat pan and additionally furnished with stabilizing traverses. The unconventional, lateral arrangement of the front legs is typical for this type of stool; the front cross traverse runs parallel to the front edge of the seat pan and serves simultaneously as a supporting footrest. This allowed the shoemakers a work posture in which nothing disruptive stood in front of the stool. 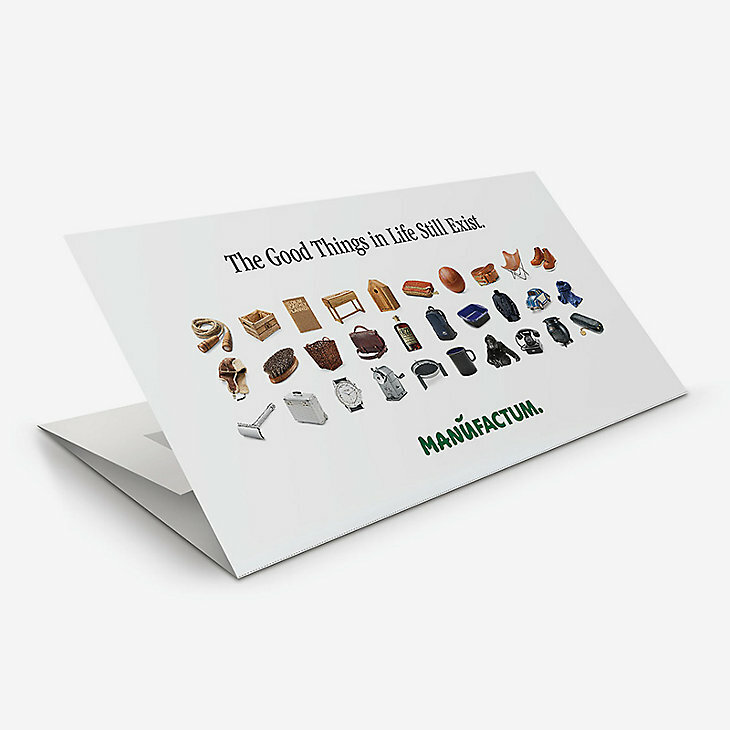 The small one has the seat height of a chair, the large one that of a work stool for the workbench; but both are not fixed during use and prove themselves, in living quarters, to be remarkably versatile and comfortable.